Should You Buy Cycling Shoes? If you’re a regular participant in indoor cycling classes, you already know that it’s a perfect low impact way to raise your heart rate, torch calories, and increase your lung capacity. You’ve also most likely looked around at your peers and noticed those sleek looking velcroed shoes that a lot of people are wearing. Maybe you’ve wondered to yourself “What’s the difference between regular sneakers and cycling shoes and should I invest in a pair?” Before you talk yourself out of it because they tend to be expensive, here are some major advantages to owning a pair. -Because of minimal wear and tear to your new indoor shoes, they will last for years. 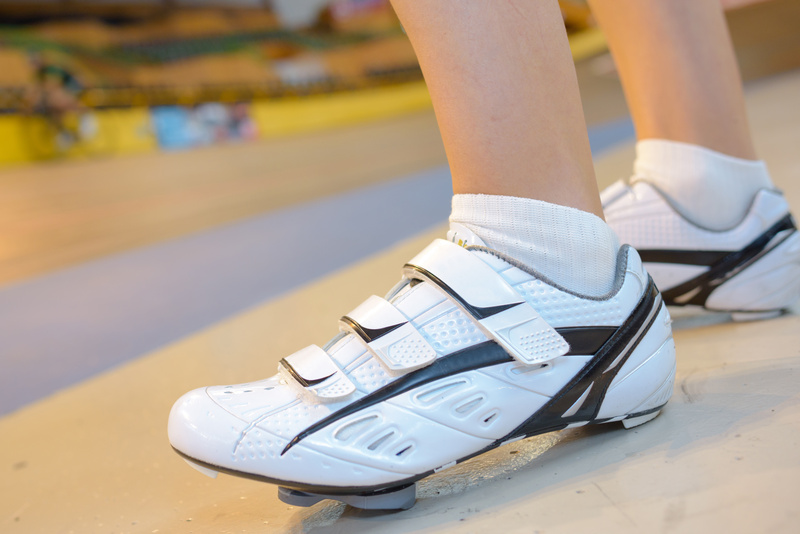 -Cycling shoes have stiffer soles. This means the stiffer the sole, the more power you get when pedaling. Also, you’ll have more balance when you’re out of the saddle. -Your feet stay in constant position when clipped in. This means perfect alignment that will prevent your feet from pronating. Your hips will also thank you for it! -Your pedal stroke is smooth as silk! Cycling shoes help lift your pedals on the upstroke which takes pressure off your quads and brings your hamstrings in the mix. -No shoe laces to worry about! It can be terrifying getting a shoelace stuck in the flywheel if they’re not safely tucked in the toe cages. The Velcro straps that come with most cycling shoes ensure a secure fit. -More controlled and powerful pedal stroke ensures an awesome workout every time. Once you get used to clipping in and out, you’ll be amazed at how much more efficient you are, maximizing your time in class! Once you try them out, you’ll most likely never go back to cycling in sneakers again!! Click here to see Elevate’s indoor cycling class schedule and fill out the form at the bottom of the page to get your first class free! ABOUT TONYA: Tonya is a Group Ride and Indoor Cycling Instructor at both Elevate Fitness’s Dewitt and Liverpool locations.